Foton JW Auto Park (Pvt) Ltd., is formally going to inaugurate its automobile assembly plant on Friday, November 30, 2018, in Raiwind Road, Lahore. However, the inauguration ceremony will be held in Islamabad and Prime Minister Imran Khan is expected to attend the launch event. The company is owned by JW SEZ and has been awarded the Greenfield status by the government under the auto policy 2016-2021. Foton JW Auto Park (Pvt) Ltd., is collaborating with Changsha Foton limited in a 50/50 joint venture to launch vehicles in the Pakistani auto market. The company is aimed to manufacture environmentally-friendly and fuel-efficient vehicles in Pakistan. JW currently operates in more than 60 countries and is known for its quality commercial vehicles. Sources have told #Automark that Changsha Foton Vehicle Technology Co., Ltd., President Wang Tao and JW SEZ Group President Shah Faisal Afridi on behalf of Foton JW Auto Park (Pvt.) Ltd. will attend the launch event. While Chinese Ambassador and two Chinese government CPEC officials will also attend the launching ceremony of the plant. 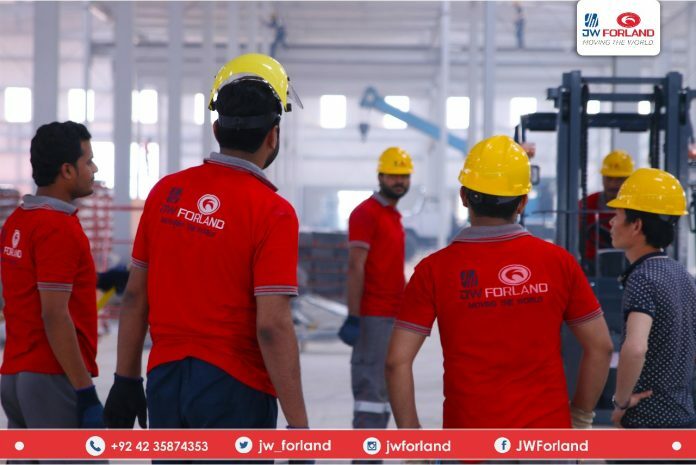 It is expected that the JW Forland will likely to be introduced as an official CPEC partner and manufacturer in the country. The assembly plant is located in Lahore over 50-acre land while the current plant capacity is 30,000 units per annum. The product range (Phase-I) includes light and medium commercial cargo and dump trucks, minivans and SUVs. Meanwhile, the new plant is expected to boost the job opportunities in the country and expected to provide over 500 direct employment. The joint venture was established apparently owing to the regressive growth of the economy through the China-Pakistan Economic Corridor (CPEC). A dialogue was earlier held between JW SEZ and Foton that gave rise to a Joint Venture, named Foton JW Auto Park. Foton JW Auto Park is aimed to become the leading commercial vehicle manufacturer in Pakistan within the next 5 years.